Crucial calcium for children. Is your child missing out on it? Calcium is a mineral that is indispensable in our daily diets for building healthy bones. Strong bones are in turn important for the prevention of bone disease and osteoporosis later in life. In addition, calcium for children plays a major role in the development of good teeth, and in maintaining other healthy bodily functions, such as muscle contraction, transmission of messages through the nerves, and the release of hormones. It is vital to give your childas much calcium as possible from young, so that he will start his adult life with the strongest bones possible. Why Calcium for Children Is Crucial? Calcium is mostly present in our bones. Indeed, bones are made up of more than 50% calcium. If your child does not have enough calcium, his blood calcium level will be low, and his body will draw the calcium from his bones to ensure normal cell function. According to the Health Promotion Board (HPB), Singapore, our bones are like a bank where bone tissue is 'deposited' and 'withdrawn'. Until the age of 30, more bone tissue is deposited than withdrawn, resulting in a positive growth in our 'bone bank'. This growth is the most rapid during childhood and teenage years, a phase crucial for 'saving' up much as possible for later years. Our bone mass will peak when we are about 30 years old, after which more bone mass is withdrawn than deposited, and our bone mass 'savings' start to decrease slowly. However, the higher the peak bone mass (i.e. savings), the lower the risk of the 'bank account' being depleted when we grow old. This reduces the risk of osteoporosis later in life. Young children with sufficient intake of calcium should be able to accumulate more than 60% of their total bone mass by the age of 18. Hence, it is vital to give your child as much calcium as possible from young, so that he will start his adult life with the strongest bones possible. Calcium for children is thus very important to your growing children. Vitamin D aids calcium absorption, so it is vital that you give your child enough of this nutrient too. Apart from fortified dairy products, fish and egg yolks, sunlight also provides plenty of Vitamin D.
If due to certain medical conditions or other reasons, your child is not able to get his calcium from a normal diet, then discuss with his paediatrician about replacement with calcium for children with calcium supplements. Also, HPB recommends regular exercise or physical activity five times a week, at least 30 minutes each time. Weight-bearing exercises performed on the feet, like skipping, dancing and ball games, work the bones and muscles against gravity to stimulate bone tissue growth and increase bone density and strength. Finally, and most of all, don't forget to be a role model to your child with all of the above! Good sources of calcium include dairy products like milk, cheese and yoghurt, as well as green leafy vegetables. Ensure that your child has these as part of his healthy and balanced diet every day. Choose products with packaging that specifies 'High in Calcium', 'Rich in Calcium', or 'Excellent Source of Calcium'. These foods, whichrange from cereal, bread, and egg noodles to drinks like orange juice and soya bean, have at least 20% of the daily requirement of calcium. If your child is lactose-intolerant (or milk-allergic, or simply hates milk and dairy products), choose other non-dairy products high incalcium. Give him soya bean products (e.g. soya bean milk, beancurd,and tofu), green leafy vegetables, dried ikon bilis (with bones), fruit(e.g. papaya), beans, and fortified products like calcium-enriched bread, cereals and juice. Where to get best Calcium For Children? 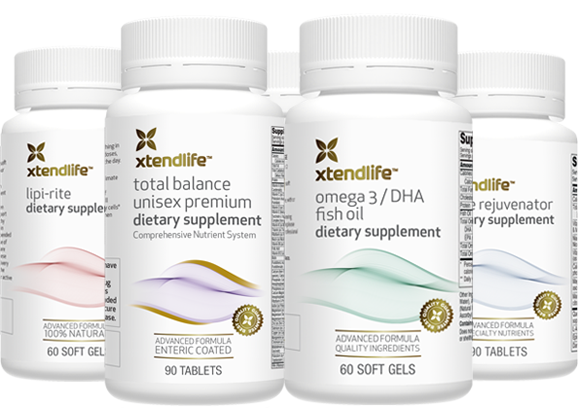 One of the best online shop you can get best calcium for children is at Xtend-Life Natural Vitamins. Ask an expert at best vitamin supplement blog.